Research has found that children who engage in sports exhibit superiority in the following domains – self-esteem, peer relationships and self-control, etc – as compared to peers who do not play sports. With MOE’s new declaration that it would focus on students’ character development as much as academic growth, it’s the perfect time to think about how sports can contribute to your child’s character. Sisu is a Finnish term which means determination, bravery, courage, confidence and resilience, all the qualities we hope our girls would develop as they grow up. In an increasingly challenging world (and arguably, a patriarchal one! ), what better way to ensure girls of today are equipped with a spirit and mindset to grow into strong, beautiful women than to immerse them in a sporting lifestyle that allows them to strengthen their individual self while appreciating the sisterhood they belong to? Sisu Girls offer 6-week programmes that aim to empower, inspire and encourage. Girls get to pick either rockclimbing, skateboarding or outdoor adventure programmes. For more information, visit sisugirls.org. 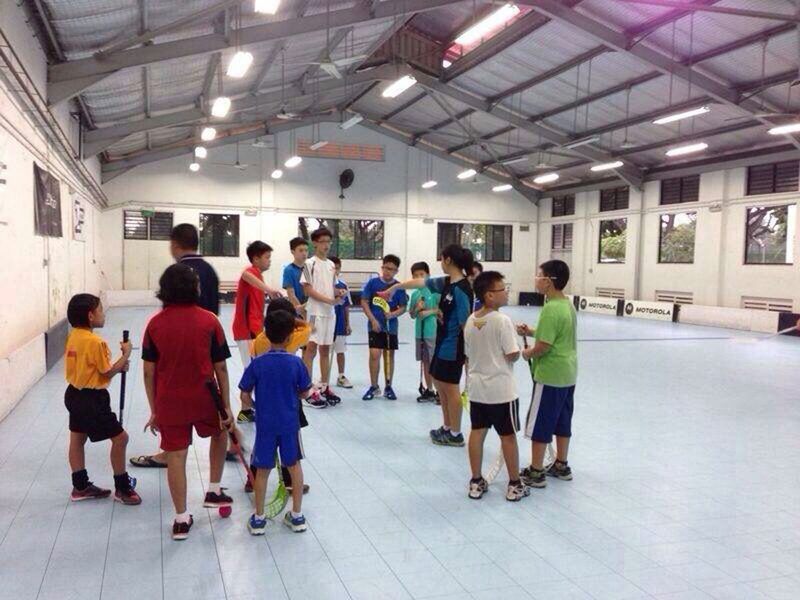 The floorball community in Singapore has been growing steadily over the last few years, and the sport even made its debut as an official SEA Games sport in 2015! If you’re unfamiliar with the sport… well, think ice hockey, without the ice and the skates, played indoor with sticks and a plastic ball with holes. It is fast-paced and once mastered, is an exciting game of speed, agility and smarts peppered with nifty stick work. The Academy’s programme is divided into two groups – Focus and Development, the former for those who have foundation in the sport, and the latter for those completely new to it. 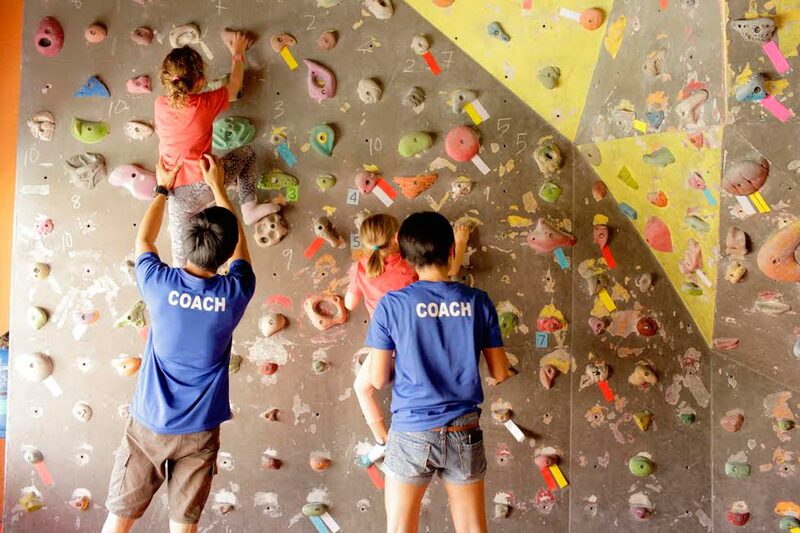 There are no age restrictions, so parents can join their kids in exploring this sport. For more information, visit www.tiasafloorball.com. We love that Sport4Kids’ main emphasis is on skills development and fun! They teach through encouragement and praise, and aim to develop a healthy self-esteem from a young age. Even those as young as 18 months old can join in the fun! 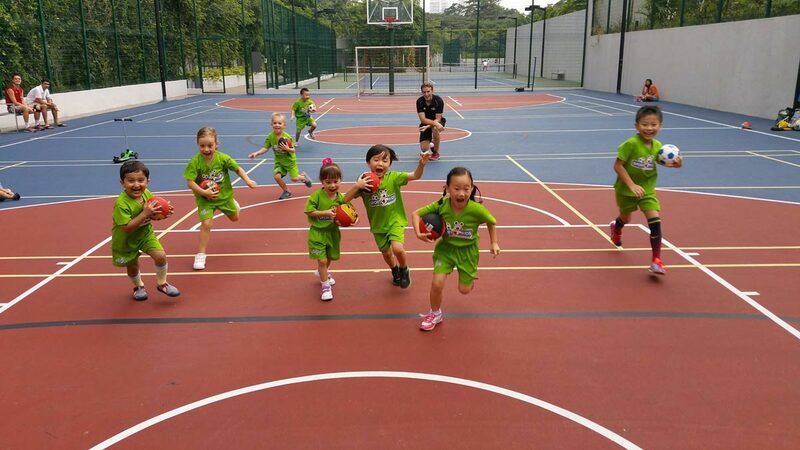 Kids can choose either swimming, soccer, tennis or basketball, and if they’re intent on trying out more than one sport, a multi-sport programme is also available. The Family Sports HUB happens every Saturday, with programmes for both kids and parents. For more information, visit www.sport4kids.sg. Dance offers a whole array of benefits for children, from stronger physical health to healthy social and emotional development. Plus, more important than anything else, it offers loads of fun, and is a great way to keep your child (both boys and girls!) active. If you’ve played music to your little bub, you’d realise that the ability to move to music is natural and develops even before kids learn to speak! 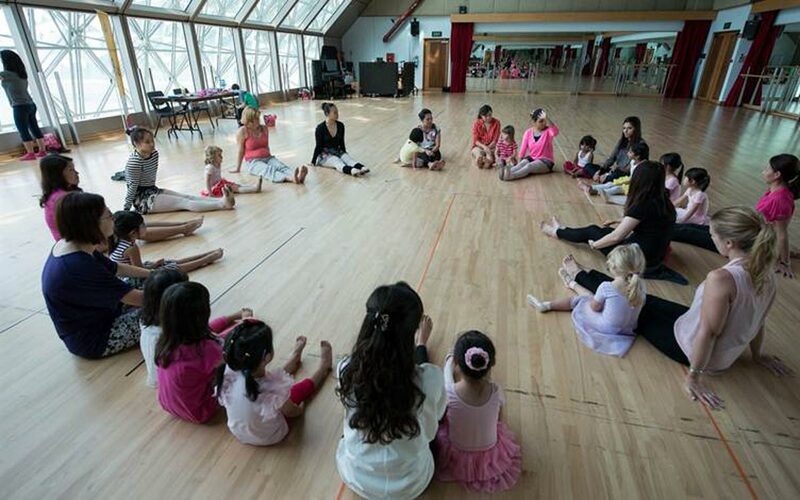 Part of the da:ns festival’s Footwork workshops, Twinkle Toes is designed specially for tots from 3 – 6 years old. This dance-play workshop is a good introduction to the fun that is dance, and parents can join in their kids to experience this together. Other than Twinkle Toes, other Footwork programmes include Parents and Kids, Adults and Youth, Happy Feet and Socials, and are a prelude to da:ns festival, which will be held from 13 – 23 Oct 2016. For more information, visit www.esplanade.com/festivals-and-series/dans-festival/2016. 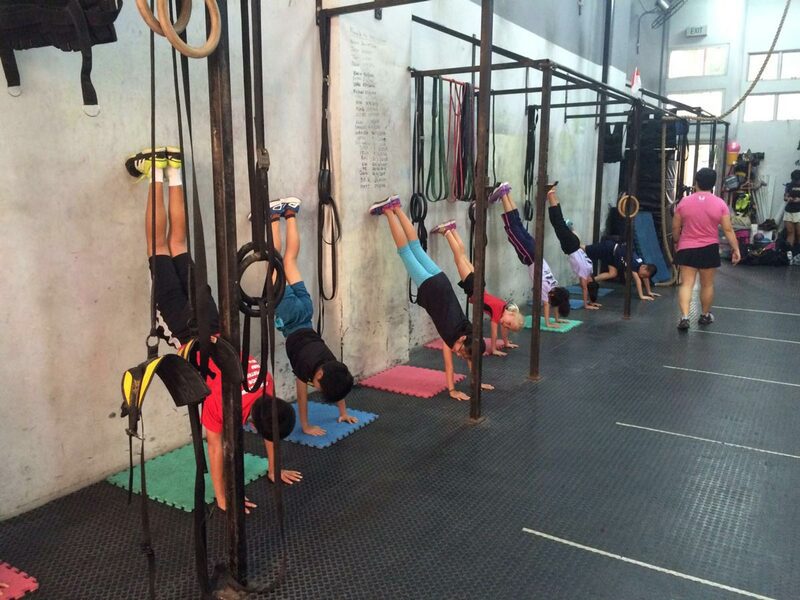 CrossFit Kids is a method for teaching Greg Glassman’s CrossFit to children ages three -18, with an approach meant to be BIG fun for all ages – ‘Broad-Inclusive-General’ fun. Fun means they provide an active alternative to sedentary pursuits, which means less childhood obesity and all-around better health for children! If you’re worried about the training that your child will go through, CrossFit Kids Enduro’s Juria Maree explains that each session is led and supervised by coaches and that all coaches are Level 1 CrossFit trainers as well as CPR/AED certified in case of emergencies. Younger kids also do not use barbells or anything heavy during class until they are introduced to the teens class much later. For more information, visit crossfitenduro.com. This article is an extension of an article found in the print edition of Singapore’s Child May Issue 174 with the headline ‘Fit Kids’. Do you think it is important for your child to get involved in sports? Share your views with us below!